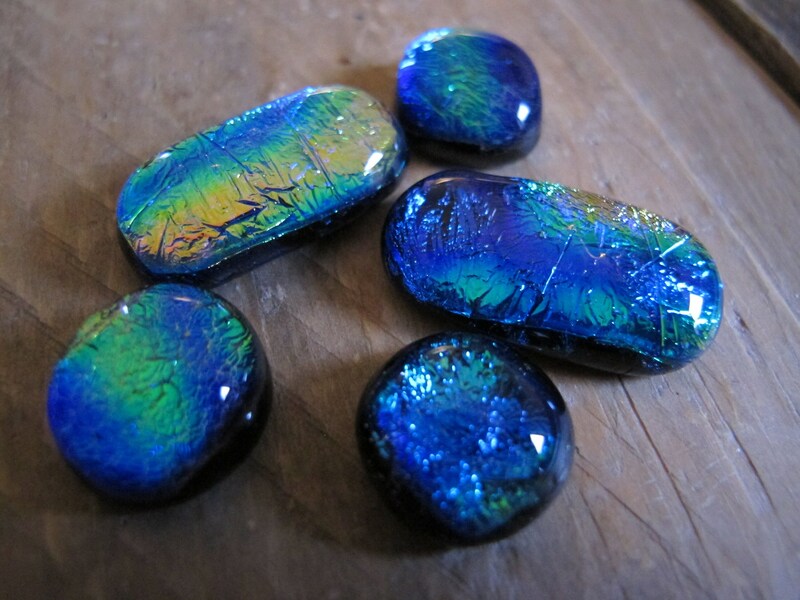 Five uncalibrated, handmade Dichroic glass cabochons, for Jewellery making, Stained glass, mosaics, etc. The three round, rainbow coloured, black backed cabs are between 14mm and 16mm. The two oval, rainbow coloured, black backed cabs are about 27mmx14mm each.